So I was attempting to recreate PS1 graphics in GMS2 (given a library I found on the marketplace) and I've come up with this. What do you all think of it so far? I know it isn't much to go by so far, but you get the idea, hopefully. 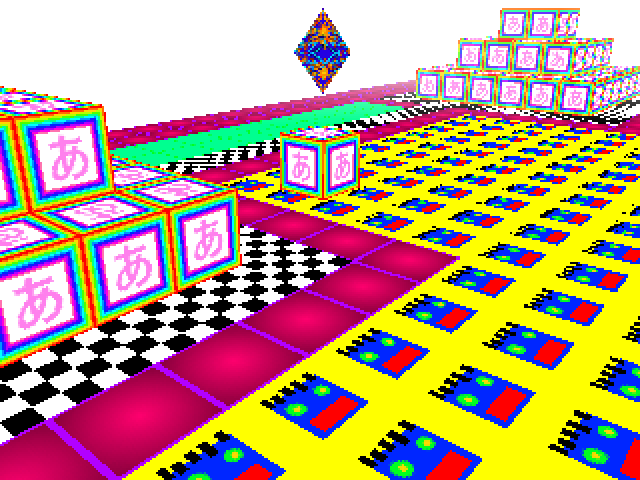 Now the full game will take a while to make, but keep in mind that even because it's for a jam, there are going to be a lot of placeholders and unfinished / unpolished elements. 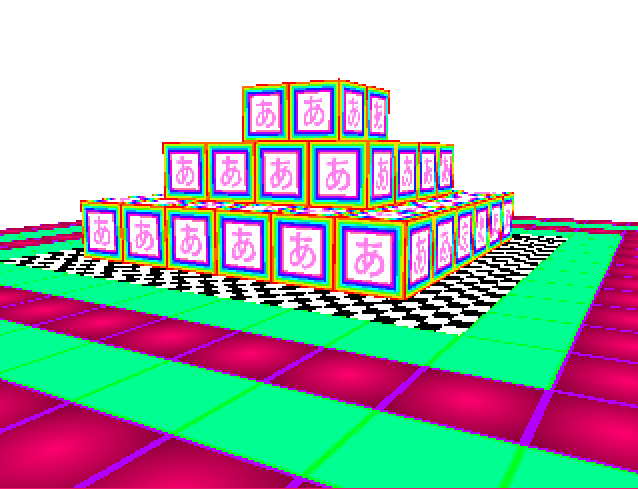 In fact, the "あ" cube you see in the first and second image is the current placeholder for a player model. Emulated Dreams community · Replied to timeloop in 2D allowed? Ah, sorry- I missed that. Thanks! Emulated Dreams community · Created a new topic 2D allowed? Congratz! You won first place! 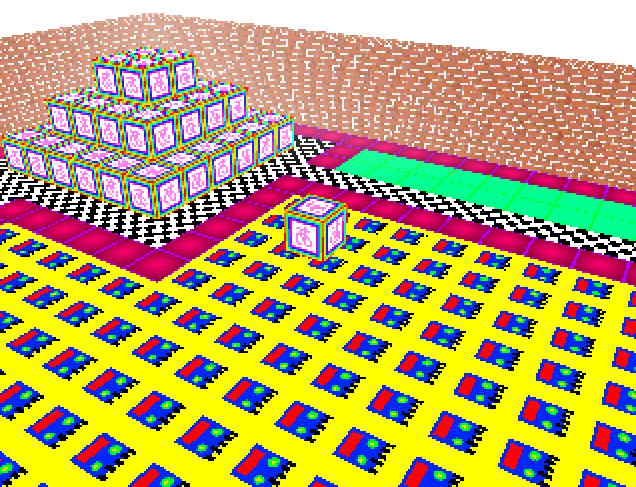 FloppyJam community · Posted in New Floppy Bug update ! Is a title screen possible with the engine? Like lock the player's movement and rotation and just have GUI element states where if in state 0 it will show the title screen but in state 1 it will show the GUI when playing? Where's the game files? If they aren't posted the submission will be deleted. FloppyJam community · Posted in Rule Clarification: Bug Fixes? Bug fixing and further releases (Such as including more target platforms) is allowed. This is really cool! Do you think you could make a Visual Studio solution for people who want to get working with it quicker? Please release the game files to ensure it is within 1.44MB. The game is 15 MB which is over the limit. This game is disqualified for Floppy Jam. Please include the game files. This is one of the few projects I actually see and want finished! You should put the source on GitHub and make the engine MIT. Eh- nevermind. I should just make the rules clearer next jam. You can keep your submission. This is amazing! So far my favorite entry. After it goes to 1x1 it crashes though. Windows 10. And I mean it goes to a resolution of one character by one character. It must be wrapped or compiled to a Windows executable. 700kb? That seems small enough to run game code beside it. You could also write your own audio buffer system which is (relatively) easy in C++ if you just do something for single voice tones. Like something where you just go "AudioGenLib::GenSine(hertz, volume, duration);". This could help you in writing that.